Growing up in Texas, Sundays were holy. In a sort of spiritual observance, my family would gather around the television to watch Sunday night football. Church go-ers may smite me but I know my family hasn’t been worshipping alone. Last year’s Super Bowl attracted 108 million viewers and this year will be no different. But while American’s love football it seems they may love commercials even more. Recently, San Francisco ad agency Venables Bell & Partners conducted a survey that revealed 78 percent of Americans look forward to the Super Bowl commercials more than the game. In fact this comes as no surprise, just check out the Super Bowl Ad Meter for proof. In recent years, ad space costs have grown exponentially and so have the stunts brands are willing to pull. However, every year one brand stands out from the rest as the one to watch. If football is America’s religion, Budlight is the holy water. 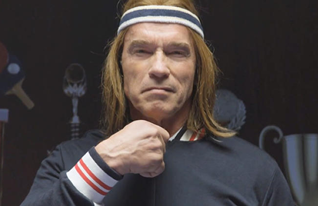 This year the brand has rolled out a series of teaser videos for their upcoming Super Bowl ads featuring Don Cheadle, Arnold Schwarzenegger and Reggie Watts. Yeah guys you heard that right, Budlight has rolled out advertisements for their advertisements. The “Whatever Happens” campaign seems to reign in a new era for the YOLO generation, stepping away from their timeless Clydesdale ads. The brand has revealed they have bought three minutes and thirty seconds of total ad time but are keeping any further details under wraps. Teasers can be seen as the natural next step for big brands, but what’s disconcerting here isn’t the fact that Budlight is advertising their advertisements but rather that they’re giving audiences exactly what they’ve asked for. While I must admit the “Whatever Happens” campaign looks like a whole lot of ridiculousness (C’mon, Don Cheadle is talking to a llama) I have to say I am intrigued. Self-proclaimed epic-ness and disjointed story lines contribute to the teasers’ inherent viral nature. The ads target an audience less concerned with connectedness and more interested in share-ability. Then again, maybe it’s just my skewed sense of patriotism that’s got me hooked.